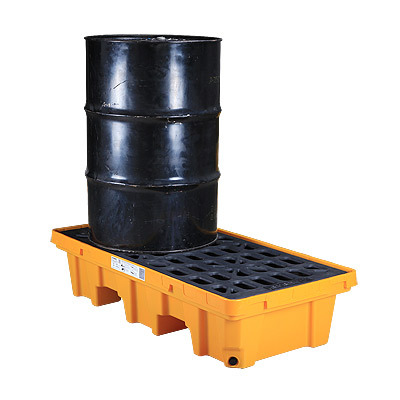 The pallet can hold a lot of spilled fluids, which helps store and transship oil drums, chemical barrels and other containers you need for spill prevention and control; hexagonal drain plug facilitates drainages;overlay structure saves space and transportation costs. 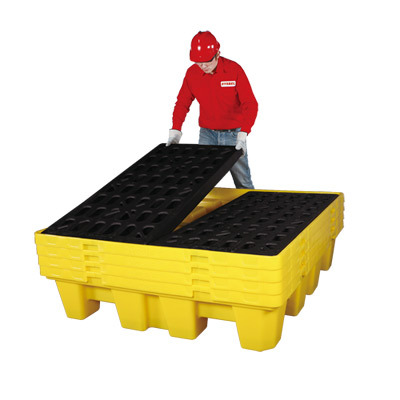 The poly spill pallet is actually a spill-proof plastic pallet with sump and forklift groove. 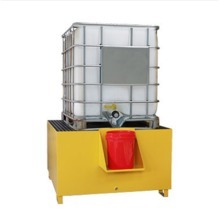 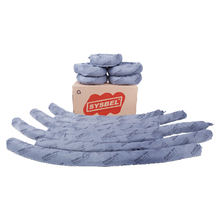 It can be used for storing, handling and transferring oil drums and chemical drums. 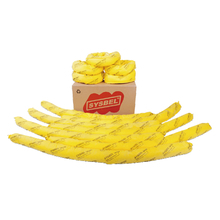 All liquid leaking out will flow into the sump rather than the ground. 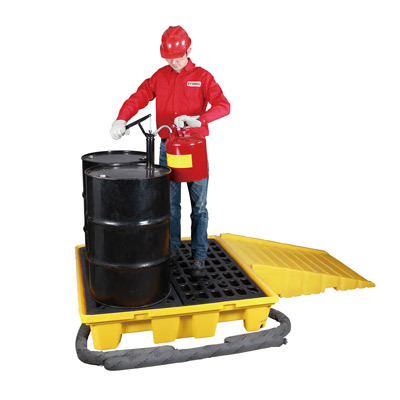 With the supporting ramp, chemical drums can be handled easily and quickly. 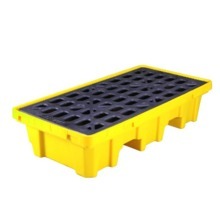 The highstrength mobile and removable grate is easy to remove, clean and replace. 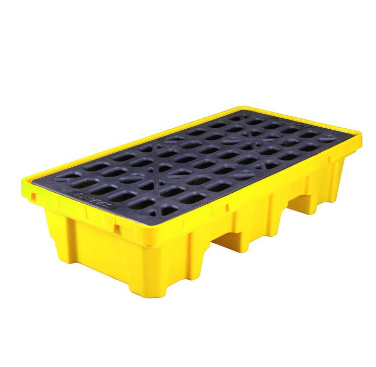 Liquid in the sump can be discharged through the leakage holes, and most of liquid can be recycled.